I am on this kick of posting beverage recipes. I guess maybe just because it is summer, and I drink a lot of iced tea when the weather is hot. All kinds of flavors- green, hibiscus, passion fruit, blueberry – mostly fruity teas. Sometimes using plain old sugar or sweeteners in tea is boring and you want something a little more exciting. 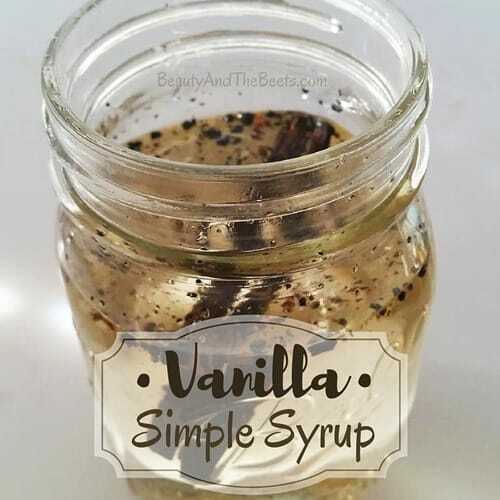 Or maybe you are trying to recreate a few of the popular Starbuck’s summer drinks and the one ingredient that keeps popping up in all the recipes is a Vanilla Simple Syrup. I set out on a journey to find a bottle of Vanilla Simple Syrup – I went to Whole Foods, The Fresh Market and Publix, and nobody sold a simple Vanilla flavored syrup. So, I guess if you can’t find it, then you make it. And it was very easy. 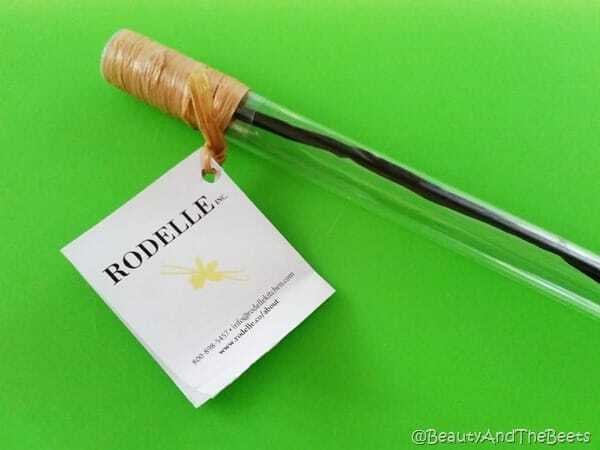 I had some whole Vanilla Beans from a company called Rodelle sitting in my pantry. And the only other thing I needed was sugar and water. I scraped out the seeds from the vanilla bean and added them to my simple syrup, then threw in the empty pod just for that extra flavor. Easy enough, right? Simple syrup is really easy to make at home. Add equal parts of sugar and water (a 1:1 ratio) to a saucepan over medium heat. Stir until the sugar dissolves, usually about three minutes. To make it a vanilla flavor, add the seeds from the pod, along with the pod shells to the syrup and let the mixture cool. Once cooled, simply pour into an airtight glass jar or other container, and store in the fridge for up to 6 weeks. I use the vanilla syrup in iced tea, over ice cream, and I even add it to oil and vinegar as a dressing for a fruit salad. What would you add vanilla syrup to? 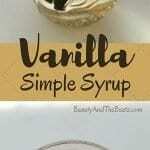 A very easy recipe for Vanilla Simple Syrup. Use it to sweeten beverages, drizzle over ice cream or add to homemade salad dressings. 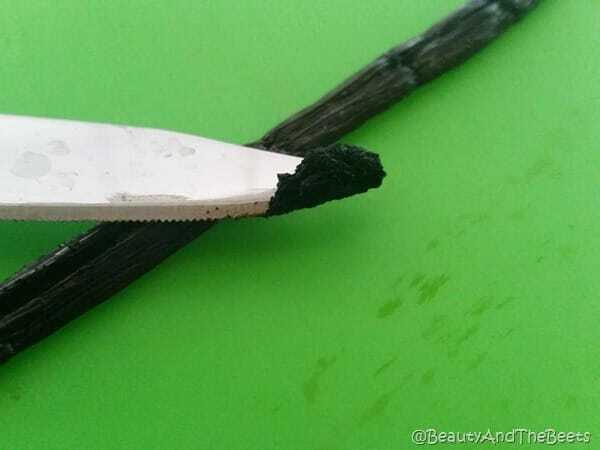 Place the vanilla bean on a flat surface and secure the bean with one hand. Using a sharp paring knife, gently run the knife over top of the pod lengthwise to split open the bean. With a spoon, or the dull end of the paring knife, carefully scrape the seeds from the pod. Be careful not to scrape too deeply as you do not want the stringy part of the bean. Set the seeds and the empty pod aside. Add the water and sugar to a saucepan over medium heat. Stir gently to dissolve the sugar, about 3 minutes. Remove the syrup from the heat and add the vanilla bean seeds and the empty pod. Let cool about 30 minutes. 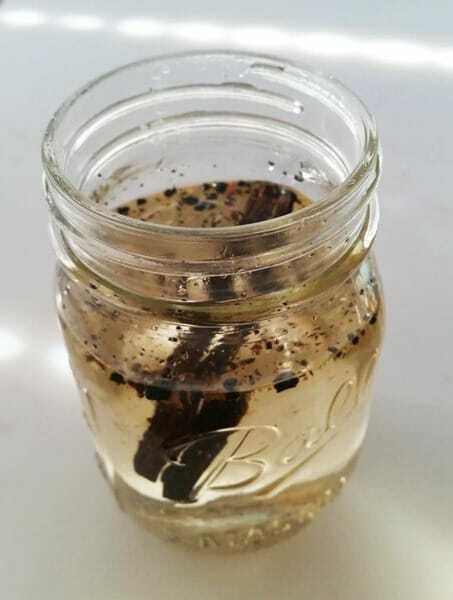 Pour the syrup ** into an airtight mason jar or other container and store in fridge for up to 3 weeks. 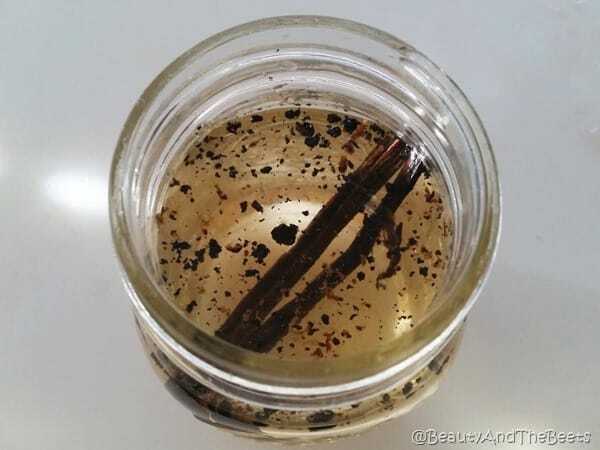 ** If you want a more mild vanilla flavor, remove the pod shells before stroing the syrup in the fridge.